Favorite Roses contains 46 lifelike illustrations of the “queen of flowers’ which includes Hybrid Tea Roses, Grandiflora, Climbers, Miniatures and Historic Roses. The art work is by Ilil Arbel, who draws the roses and leaves very realistically. She is the illustrator for two other Dover coloring books, Medicinal Plants and Favorite Wildflowers, as well as being an author. If you love to color flowers, as I do, this is a wonderful book. Bittersweet is that while it is an inexpensive book, it’s printed on both sides of just average paper. It makes this book restricted to mediums like crayons and colored pencils that won’t bleed through the page. 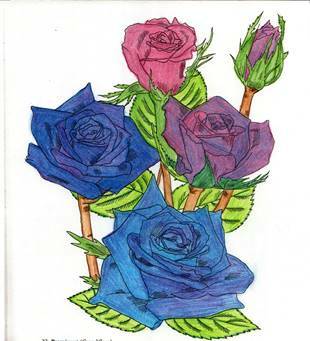 Each page in the book has a wonderful illustration plus a small paragraph that contains the rose’s name, the type of rose it is, and the color and fragrance it has. Some have even more fun information, such as when and where the rose was developed. The back page is a bonus glossary that defines such words as Floribunda, Galicia and Old Garden Roses. The wonderful information in this book would make it an amazing gift for any rose gardener. The rose designs are large enough you can play with shading and color combinations. Color the rose the way it grows or make it a spectacular purple. It’s up to you. Slightly disappointing though is that the rose and leaves are generally the only thing on the page. Less than 10 of the 46 pages have anything else, and most of the time, additions are minimal. 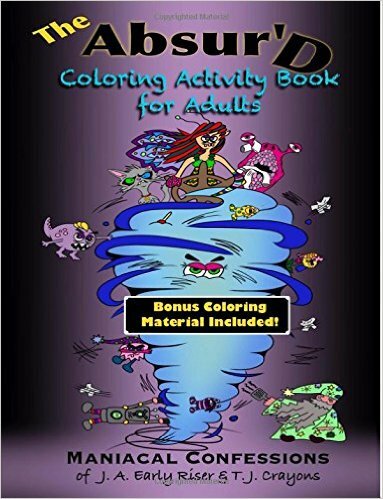 If you are looking for a coloring book that uses the whole page, this may not be the floral coloring book for you. I would suggest this book for an older child or adult, mostly because it has a large educational focus. Some children might enjoy it, however. It would be good for someone who colors for relaxation. It has big enough images on most pages for anyone to color, even if you have coordination or vision problems. Personally, I love this book. I love roses and love to color them. I love walking around my neighborhood, and then coloring the roses in my book like the roses I find. It is also a great book for practicing shading, it is the shading which makes the flowers look even more lifelike. I also like coloring them how I would like them to be. This is a beautiful book filled with realistic nature designs. 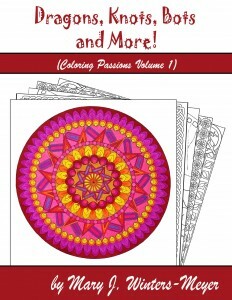 If you love roses and coloring, you will love this book. I am disappointed there is no background for most pages but it does make the roses the centerpiece of each design. 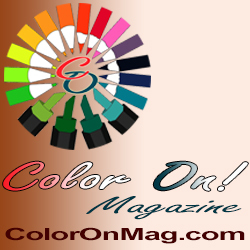 Dannie Aasted is a published author and has appeared in the first issue of Color On! Magazine. She is an avid colorist and loves collecting coloring books, including vintage ones. She discovered coloring as an Inner Child activity and kept at it to help with stress and anxiety. A year later, and a lot more focused, coloring has become a permanent part of her hobbies. She can be contacted at dannielynn3370@hotmail.com, or on Facebook as Dannie Lynn Aasted, and looks forward to chatting about coloring.